With all its small Islands which provides literally hundreds of miles of saltwater flats, channels and lagoons, all teaming with Bonefish, Permit and Tarpon, making fishing in Belize one of the top saltwater fly fishing destinations. 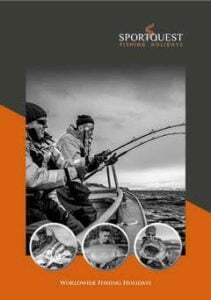 Stalking and sight casting to fish, in a foot and a half of warm, gin clear water, has become the ultimate angling experience. When you combine the fabulous natural beauty of the environment with the incredible power of Bonefish, Permit and Tarpon, it is no wonder it’s an intoxicating thrill ride for all fly fishermen who try fishing in Belize.